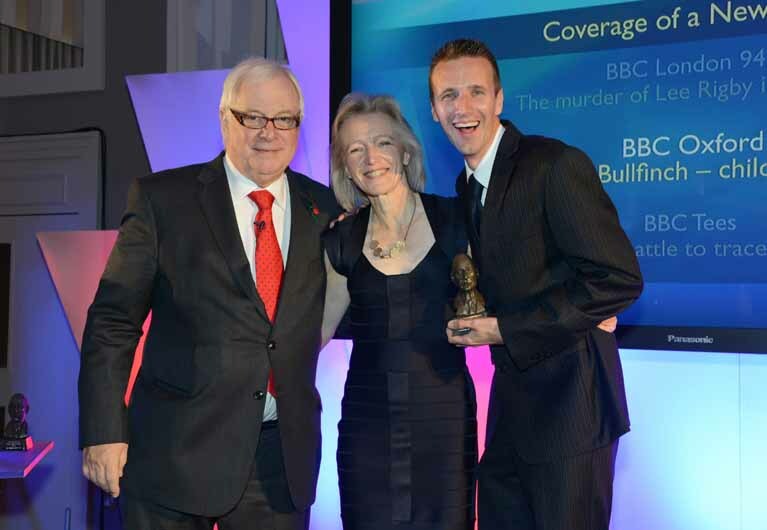 BBC Radio Oxford bagged the Gillard award for best news story coverage, against stiff competition, for its reporting of the ‘Bullfinch’ child grooming and exploitation story. Paul Jenner, NUJ Father of Chapel at BBC Oxford, was the producer for the story. He writes here about the challenge of reflecting the severity of the story with sensitivity, whilst protecting the anonymity of the victims. The Bullfinch trial, focusing on grooming and child sexual exploitation, is one of the largest cases handled by Thames Valley Police and one of the biggest stories BBC Radio Oxford has ever covered. The trial lasted five months and involved seven defendants facing more than fifty charges. Many of the details were horrific and unbroadcastable. With the story attracting national interest, we focused on the Oxford community, asking how and why these crimes happened here and what is being done today to ensure our teenage children are safe? We spent months preparing interviews, including an exclusive with one of the victims and her adoptive mother. When the verdicts came through, we broke the story from the Old Bailey with our Home Affairs Correspondent Alex Forsyth. The following morning we broadcast a special programme from the Cowley Road, gauging reaction from the community and calling those in authority to account. It generated reaction on our Facebook site. Andrew Trinder: (it) was an extremely good programme – informative without being sensational and seamlessly produced. Congratulations to all involved. Jules Paxton Carr: The coverage of this was really good! Well done to all involved! After sentencing, we gained two further exclusives with another mother whose daughter was abused, and a mother whose son attends a school where one of the children of the convicted men is being bullied. As a result of our output, we won a coveted Frank Gillard Award in the “Coverage of a News Story” category at a ceremony held in Windsor in October. The awards celebrate the best of BBC Local Radio and we were up against stiff competition. Our colleagues at BBC London had entered their coverage of the murder of Lee Rigby in the same category. The judges commented that the entry “showcased a station which displayed wonderful commitment in covering a sprawling and highly sensitive story of child abuse, institutional failure and crucially demonstrated real enterprise in unearthing new testimony. The story does not, however, end here. A Serious Case Review is underway, investigating the failures of police and social services. It is due to be published next year. When it does, we will continue to hold those in power to account, and examine how they plan to stop such heinous crimes taking place in our community in future. 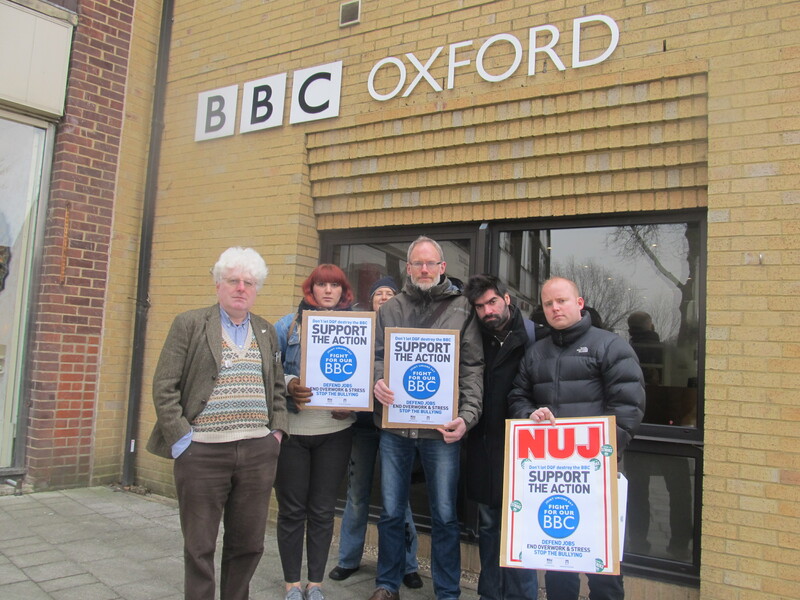 NUJ members walked out of BBC Oxford in Summertown at noon today (Thursday March 28th) as part of a national strike. 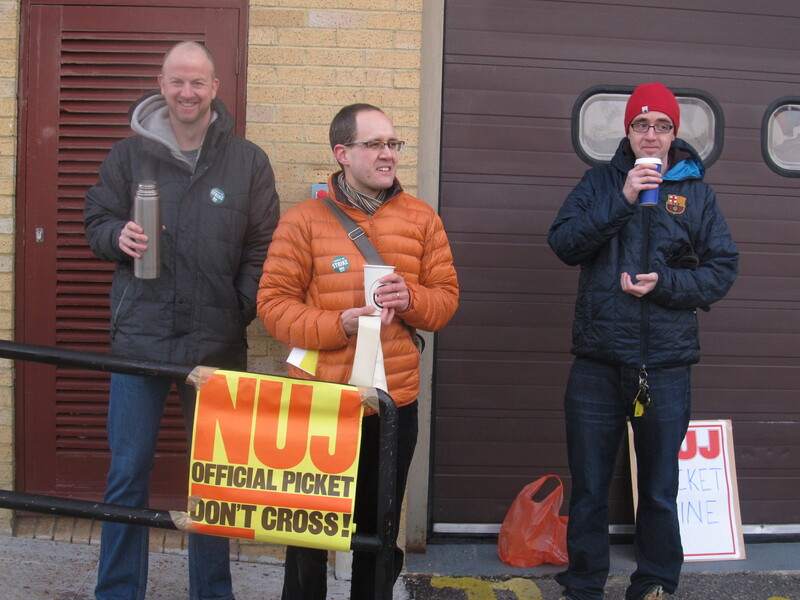 The NUJ and sister broadcast union BECTU are on strike over the unholy mix of compulsory job losses, overwork and bullying and harassment. The extent of the latter became shockingly clear after the NUJ invited members at the BBC to give evidence in confidence in the wake of the revelations about how the corporation dealt with allegations about Jimmy Savile at the time and more recently. “We know that the cuts are already having an impact on the quality of work. We know that it is leading to unacceptable workloads and stress. We know that management is using DQF [the so-called Delivering Quality First programme of cuts] as a means to harass and bully staff – making worse an already entrenched problem of bullying that has been largely ignored by those in positions of power. The midday walkout had an immediate impact on BBC programming, with BBC 24 news service forced to repeat its 11.00 o’clock bulletin at 12.00 noon. A winning strategy for Radio Oxford? BBC Radio Oxford have enjoyed their biggest audience boost for years with the disclosure of the latest independent audience research figures. They are now making a big deal on-air of the fact that the last quarter of last year showed they picked up 19,000 new listeners over the period. At 81,000 listeners it was also 10,000 up on the corresponding last quarter of 2011. This puts Radio Oxford in a strong position. The only other media focussing solely on Oxfordshire are the Oxford Mail and Oxford Times. The latest audited daily sales for the Oxford Mail are 17,556 and for the Oxford Times 14,210. Weeklies from the same stable such as the Herald series (Abingdon, Didcot, Wallingford and Wantage) weigh in at 10,733, the Witney Gazette at 6,483 and the Bicester Advertiser 3,851. Other paid-for papers in the county include the Banbury Guardian, selling more than 13,000 a week, and the Henley and South Oxfordshire Standard at 10,000-plus. Even bearing in mind that most newspaper copies are read by more than one person, this gives Radio Oxford a major stake in news coverage for Oxfordshire and means the station has a responsibility to set an agenda in coverage of health, education, local politics, business, travel, weather, sport, social and community issues. Ever since it was established in 1970, BBC Radio Oxford has kept the Oxford tag, rather than its editorial area Oxfordshire. In terms of population Oxford makes up less than a third of the county and most BBC stations covering counties adopt the county name. “As long as we are regularly getting to different parts of the county then it doesn’t matter that we are called Radio Oxford,” says Will Banks. Currently there is a project to tour Oxfordshire communities week by week and flood selected locations with staff to bring a flavour of local news and issues. “It’s a big undertaking but it will reflect life across Oxfordshire.” That started with Chipping Norton and Blackbird Leys. In particular they would like to build up a bigger following in the Banbury area. Countywide media has the problem of reconciling Banbury in the north, where Birmingham can be a focal point, with Henley on- Thames in the south, irredeemably part of the Home Counties. “The biggest tension in delivering a news service is maintaining a balance in getting a range of stories from across Oxfordshire. On any given day we want stories which resonate with other people in the county,” he says. Today BBC journalists all over the country will be striking to defend jobs and quality journalism. The national NUJ website explains why: 2,000 jobs are at risk in addition to the over 7,000 posts which have already gone since 2004. The disastrous Delivering Quality First initiative is destroying the quality of programming while wasting public money on needless redundancy payouts. According to the House of Commons Public Accounts Committee, since November 2010, the BBC has made at least 10 severance payments to other former senior managers, each worth more than £250,000. The highest payment was £949,000 given to the BBC’s former deputy director general.The BBC’s former chief operating officer received a severance payment of £670,000. These payments do not include additional payments for legal fees and ‘outplacement’. Meanwhile, regular journalists are working way beyond their contracted hours just to keep programmes on the air, causing unprecedented stress levels. Some are doing more senior jobs to those described in their contracts, for no extra reward. Cutting more jobs can only make the situation worse – and leave communities around the UK deprived of real news coverage. If you support the BBC strike, please say so. Email the BBC Trust on trust.enquiries@bbc.co.uk to say that you care about quality news coverage. And if you don’t have time to even do that, a quick message of support on Twitter with the hashtag #BBCstrike will give us a boost too. This post has been edited to include a picture of the BBC Oxford picket line being set up first thing in the morning. Branch chair Kate Griffin tells the story of how she tried – but failed – to interview someone from Witney TV for our branch newsletter. This post originally appeared on her blog. One of the inspirations for Hunt’s ideas about local television is Witney TV, the online news station based in my home town. As I wrote back in October, Witney TV was set up by volunteers who worked for free and established a policy of avoiding any bad or controversial news. A local “news” source that doesn’t require state funding and doesn’t report anything controversial? It’s not surprising that Jeremy Hunt found the idea attractive and tried – but failed – to secure a meeting with the station’s founders. The tiny station received coverage in the Guardian and the Independent after a Jeremy Clarkson scoop. But none of the attention so far has made it clear quite why Witney TV was created or what its business model is. Back in October, I tried to find out. I thought that Witney TV would make an interesting subject for a piece in the local NUJ newsletter, so I emailed them asking for a ten-minute chat. My email didn’t get an answer; I wasn’t sure if it had been missed in a crowded inbox or if they’d chosen to ignore it. However, a few days later I went to Witney Town Hall for a town council meeting about the controversial Cogges Link Road. Many members of the public, including me, were turned away from the crowded meeting. (The reason given was “fire regulations”.) Among the people leaving was Barry Clack, co-founder of Witney TV. We weren’t kicked out or turned away. We had chosen to leave to allow 2 members of the public to have their democratic right to speak – its [sic] a shame other members of the media decided not to do the same. Let’s recap. A videographer in charge of a local news service believes that “the media” should leave a public meeting on an issue of local importance so that more members of the public can squeeze in. Are news reporters supposed to restrict their reporting to events where there’s lots of room? By that logic, court reporters should stop working when there’s overspill from the public gallery, to make more room for members of the public. The point is: journalists are members of the public. And part of the point of the job is reporting events for other members of the public who can’t be there. Witneytv would not have contributed to an interview for the NUJ. No email to witneytv is ignored. We reply to all but clearly none of us expected WitneyTV and its media exposure to be as big as it is. We all work as well as produce the show and are unable to respond to every request. My original message to you was sent three days ago. Did you really have any intention of replying? Can you honestly tell me that you would have contacted me today if it wasn’t for me saying something incorrect about you personally on Twitter last night? I realise it’s a volunteer effort and I realise how huge it’s become. I’ve made both those things clear in my article. But if you’ve got time to pick at my choice of words on my personal Twitter feed, you’ve got time to say a simple ‘no, sorry’ when I send you an email directly. This was met with silence. I took the hint and wrote the piece without chasing Barry again. But a month or two ago, there were strange developments at Witney TV. Viewers visiting the site for their fix of upbeat news found a rant written by Barry detailing a falling-out between him and the other volunteers. This was hastily taken down and replaced with a holding message saying “ Witney TV will be back very soon ”. The site now seems to have had a redesign and is up and running again. During the downtime, I tried again to find out what was going on. I contacted Witney TV asking if I could interview someone about the relaunch. My email was answered by someone called Adrian from a PR firm called Harold Strong. We handle the press and PR for WitneyTV. Can you advise what questions you’d like answered and I’ll do my best to get this back to you for Wednesday. Where is the interview likely to appear and to how many readership [sic] ? Clearly I was mistaken in thinking that a news station which regularly does interviews would understand what an interview is. I emailed them with my list of questions anyway. That was in early July; I still haven’t received an answer. You might wonder why I’m making such a big deal of all this. Well, it’s important because we know that Jeremy Hunt showed great interest in Witney TV as a possible model for local television. And if you’re going to use something as a model, you need to know how it works. A recent consultation on the government’s Local Media Action Plan sheds some light on what the public want from local media. According to the summary report, there was “a general consensus that the mainstay of the local TV services should be news”. Some were also of the opinion that “national quality” newsgathering and impartiality standards should apply to local services. Witney TV’s exclusive focus on “positive” news prevents it from covering many of the stories that other local news channels see as bread and butter: crime, controversial council decisions, traffic problems, local job losses, fires and so on. As for standards, we have no idea what Witney TV’s internally applied standards are. They may never have been codified at all; the station may be working on the premise that “common sense” is enough. As for money, we know that the founders of Witney TV paid out of their own pockets to get the station started, and we know that they’ve said they would refuse licence fee money. The site carries advertising and there have been rumours of a lottery grant, but we have no idea whether the station’s income covers its costs. That means we can’t know whether or not the model is financially sustainable. There’s no transparency because there’s no accountability. Witney TV doesn’t have to explain itself to its viewers because it’s run by an independent company. That’s fine, in itself. The real problem will arise if companies run in this way are given licences to provide local news coverage. I hope that the new licensing system will oblige participating companies to recognise that they have a duty to local people. If Witney TV’s combination of secrecy and fluff is replicated, it could damage the credibility of all local news provision. Branch chair Kate Griffin explains why regional news services are important for Oxfordshire. This post originally appeared on her blog. What exactly is an opt-out? Local broadcasting stations are said to “opt out” when they stop broadcasting from the central “feed” and start broadcasting local content instead for a limited period – for example, for a half-hourly local news programme. 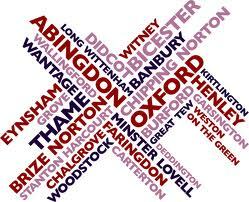 So the stations providing regional content, such as BBC Oxford, are known in the industry as “opt-outs”. Clear as mud? What I’m trying to say is: “opt-out” is a rather confusing industry term for the simple concept of a regional broadcast news service. Which areas are under threat? BBC Cambridgeshire, covering Cambridgeshire, Bedfordshire, Hertfordshire as well as parts of Norfolk, Suffolk and Northamptonshire. BBC Jersey, covering all the Channel Islands. Why is the BBC considering closing these services? To put these figures in perspective: until he left the BBC, Jonathan Ross was earning £5.6 million a year. Anne Robinson is reportedly on £3 million and Jeremy Clarkson trousers £1.8 million. What will happen if we lose these services? If the opt-outs are shut down, the areas they cover will have to get their BBC television news as part of a much bigger “super-regional” service. For example, Oxfordshire will have to get its news from BBC South Today, which covers a huge area including Hampshire, the Isle of Wight, Berkshire and parts of Sussex, Surrey and Dorset. One BBC Oxford news viewer complained on the Support BBC Oxford TV Facebook page that South Today is just “ endless stories about yachts in the Solent and seaside towns ”. Are the cuts a done deal? Make a fuss and spread the word. Kate, what business is this of yours? I’m chair of the Oxford & District branch of the National Union of Journalists, which means it’s my (sadly unpaid) job to stick up for other journalists when their jobs are under threat. I also feel very strongly that good-quality local journalism is worth fighting for. And like a lot of British people, I’m very proud of the BBC. Other countries look to our BBC as a model; we shouldn’t be jeopardising that world-famous quality to save relatively small sums of money. “I liked The Stig. He came round my house, he had drinks… and all the time he was writing a book.” For the first time since “Stig-Gate” unfolded, Jeremy Clarkson publicly shared his feelings of betrayal. But the interview wasn’t with a national paper or broadcaster. He was talking to Witney TV, an online news station that didn’t exist six months ago. Witney TV is a volunteer-run website hosting video reports of events in Witney and surrounding areas. It was created by residents Barry Clack and Gavin Hyatt to fill what they feel is a gap in local coverage: BBC Oxford is spread too thin to cover the area in depth, while ITV’s Central News lost its Oxfordshire studio in recent cutbacks. You might be wondering why this matters to the average NUJ member. Well, it matters because Witney TV is being held up as a possible model for the future of local TV news. Culture Secretary Jeremy Hunt has contacted Witney TV because he wants to find out more about how the station works, but no meeting has taken place yet because Clack and Hyatt are too busy. It’s not yet clear what Hunt’s plan is for local media. In June, he gave a speech in which he said: “We need strong local media to nurture a sense of local identity and hold locally-elected politicians to account.” But it seems unlikely that he will be allocating any public money to support local media; we already know that Labour’s plan for Independently Funded News Consortia, funded by the television licence fee, has been scrapped. In the same speech, Hunt talked about the desirability of a “modernised, updated regulatory environment” nurturing “hungry, ambitious and profitable local media companies”, which strongly suggests that his plan for the future of local media will have a lot to do with the private sector. Great news for big players like Sky (whose head of news, John Ryley, happens to be a Witney resident); not so great for smaller news organisations trying to make a living. Hunt has commissioned banker Nicholas Schott to look at local media and make recommendations on how to support it. An action plan based on the findings of the Schott report is due some time this autumn. His interest in Witney TV suggest that there will also be a role for smaller organisations in what he calls the “local media landscape”, but whether or not they will be able to make a living is another matter. The £11,000 start-up costs for Witney TV were paid by four volunteers. Barry Clack’s comment about setting up the station – “Anybody can do it. There is no hard and fast rule” – sounds inspiring, but the reality is that Clack runs the station on top of his day job as a freelance photographer. Will local news be another casualty of Big Society, handed over to the voluntary sector? And if the Witney TV model is reproduced in other parts of the country, what will happen to the “difficult” stories: the deaths, the crimes, the local authority corruption? We will know more when Hunt’s action plan comes out. Perhaps the Witney TV team will have time to meet him before then. Written by branch vice-chair Kate Griffin. A shorter version of this article appeared in the October 2010 issue of our paper newsletter. In the course of writing this article, Kate attempted to contact Barry Clack for an interview, but got no response from him, so all quotes by him are taken from an interview by Simon Ford of the BBC College of Journalism.